ETA Al Joslin in performance. Photo Credit: Jamie Joslin/Eva Brand. Al does what he does as an Elvis Tribute Artist because he loves Elvis. Even if he never sang or performed an Elvis song, he would watch and listen to Elvis constantly. 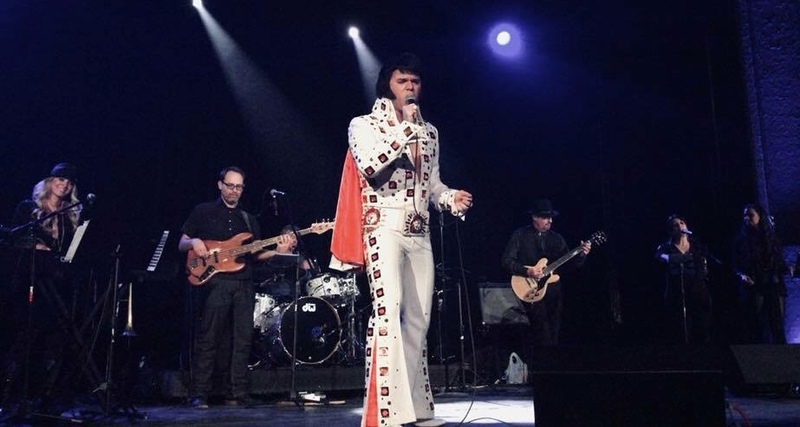 He just happens to have an amazing Elvis voice and has learned to incorporate Elvis’s mannerisms and looks into his show to give his audience the complete Elvis experience. He does his tribute to Elvis in an effort to represent Elvis in the best way possible. Jamie Joslin. Al Joslin is a multi award-winning Elvis Tribute Artist who has taken his show across the country for the past 12 years. He is considered one of the top Elvis tribute artists in the business, having won first place at the 2016 Ultimate Orlando, and finishing in the top 5 in the world at the 2017 Ultimate Elvis Tribute Artist Contest in Memphis. He also won 2nd place at the 2017 Las Vegas Elvis Festival! He recently won first place at the Elvis Fantasy Festival in Portage, IN. This victory earned Al a spot to compete for the 3rd year in a row at the Ultimate Elvis Tribute Artist Contest in Memphis. Al loves performing every era of Elvis, and considers it the highest privilege to give tribute to the greatest entertainer of all time. A special thank to ETA Al Joslin’s wife, Jamie Joslin, for sending Al’s great bio and wonderful photos for posting. The videos that follow demonstrate why ETA Al Joslin is an award-winning ETA with a very successful career. Al's performance in each of the videos is electrifying. Best regards, Carolyn MacArthur. Photo Credits: Eva Brand and Jamie Joslin.